Cosby is a small rural village, about six miles south of Leicester. There were 19 nonconformists in 1676. In a return to the bishop in 1715, the vicar reported that 28 of the 80 families in this parish were dissenters, with 13 of these families being Presbyterians and 15 families being Baptists. The earliest recorded meeting house was established in 1716, in the home of a dissenter, although there is no mention of the denomination that met there. A religious census held in 1829 makes no mention of any dissenters in the village at all. The Particular Baptists probably originally met in the house of one of their members. Growing numbers of worshippers at their Sunday evening services becoming ‘inconveniently crowded’. In 1842 an anonymous ‘resident gentleman, connected with a family distinguished by their enlightened attachment to nonconforming principles’ gave a piece of freehold land in the centre of the village and paid for a chapel to be built on the plot, to accommodate two hundred worshippers. The cost of the building was approximately £175. It was said to be ‘the first dissenting chapel that has been opened in Cosby’. 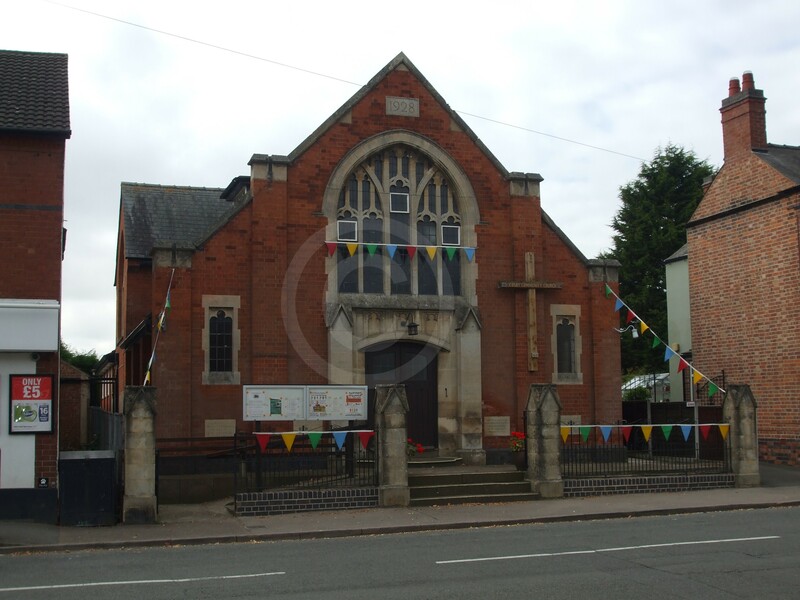 The opening service, on 9 August 1842, was reported by the Leicester Mercury to have been crowded with hearers of about two to three hundred in number – so many that the chapel ‘would not contain half the congregation’ and it was necessary to assemble outdoors. Naturally, the opening service attracted more than the normal services that followed. On the day the religious census of 1851, 30 March, there were 110 worshipers, or just over half the chapel’s capacity. Services were held in the evenings, and ministers were supplied from an adjoining village. 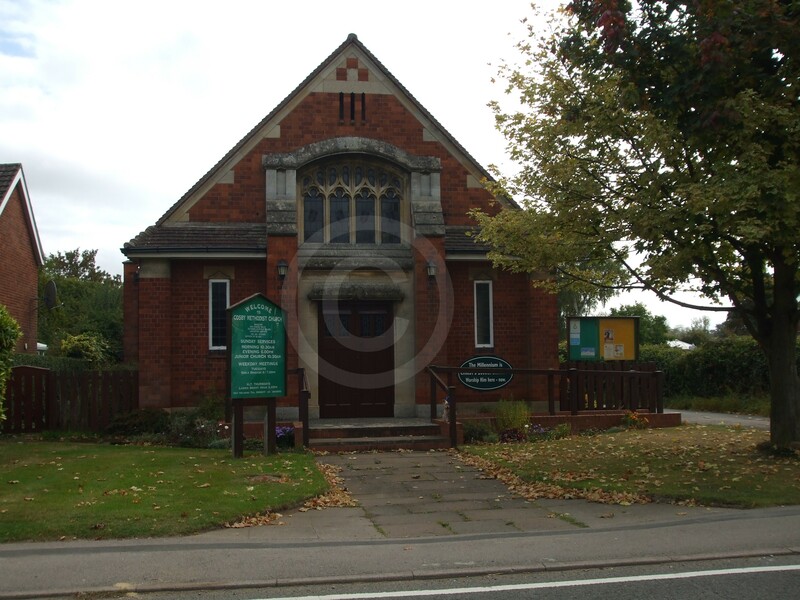 The chapel was in use until its replacement in 1911 with the Tin Tabernacle Baptist church on Croft Road. This remained in use until 1928, when it was demolished and replaced by the new Cosby Baptist Church, which was built on the same site. The chapel is still in use in 2014, and has a modern extension to the side. 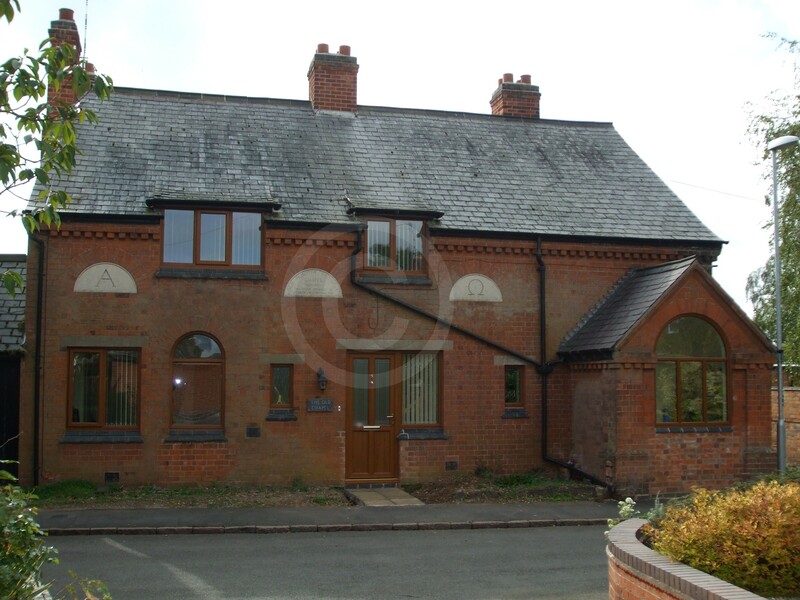 A building in Chapel Lane Cosby bears a date tablet inscribed ‘Old Primitive Methodist Chapel, 1886-1922 This stone unveiled by Reverend J.W. Cannings. 1936’. A modern tablet adds that the chapel had been built by T. Ford of Dunton Bassett. The building is now a private dwelling. A replacement Primitive Methodist Chapel was built on Park Road and bears the date 1886 (on rear elevation). It is possible this date tablet was transferred from the earlier building. The new chapel cost £400. There is a side extension and a further extension was added to the rear in 1967, with a meeting room, kitchen and lavatories. Leicestershire and Rutland County Record Office, QS 44/1/1, rot. 4. 1829 Religious Census, entry for Cosby, QS 95/2/1/11. Leicestershire Mercury, 13th August 1842, p. 3. 1851 Religious census, TNA, HO 129/411/31.